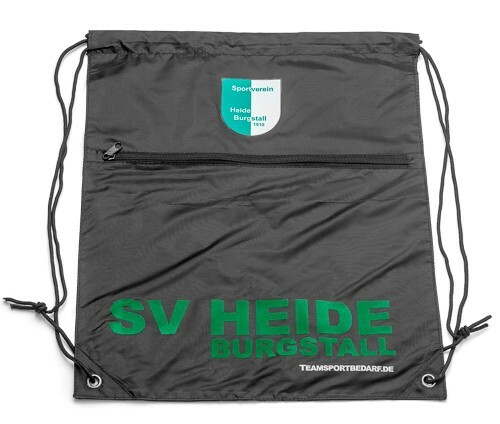 You get a high quality gym bag with dimensions of approximately 49 x 40 cm and a capacity of about 14 liters. 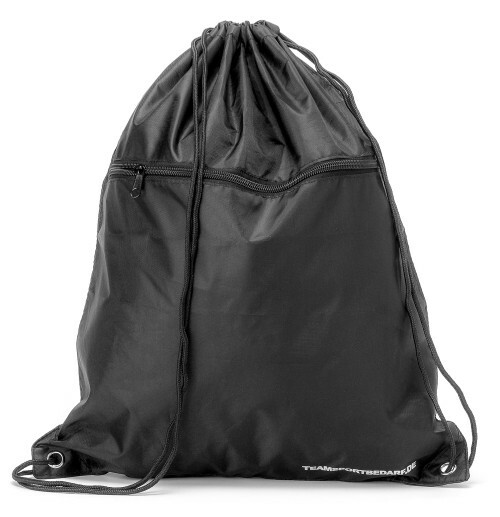 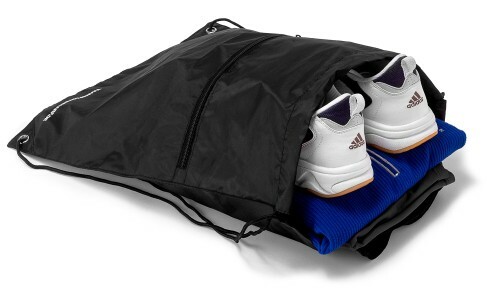 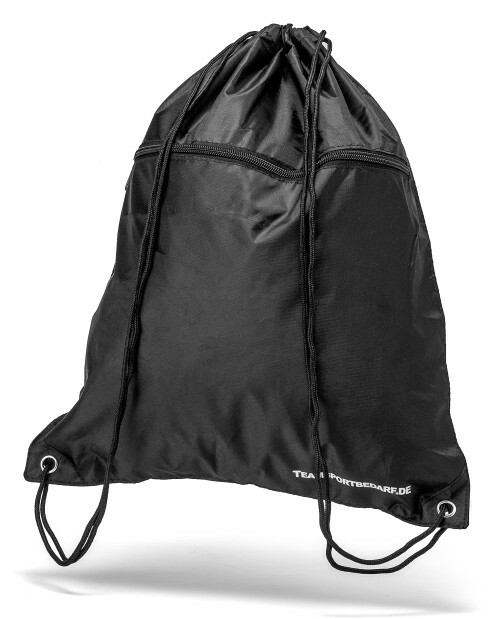 The gym bag is made of 100% polyester and is water repellent. 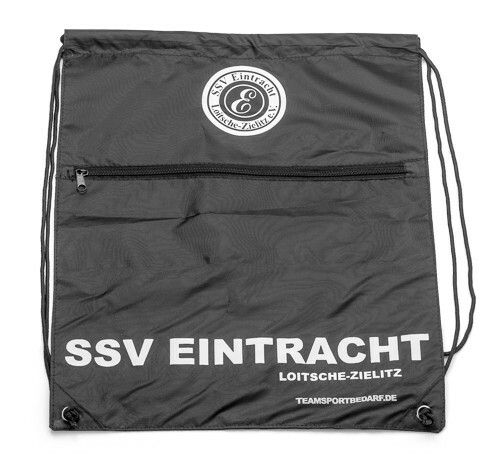 Contractible carrying straps and a zip pocket are also available. 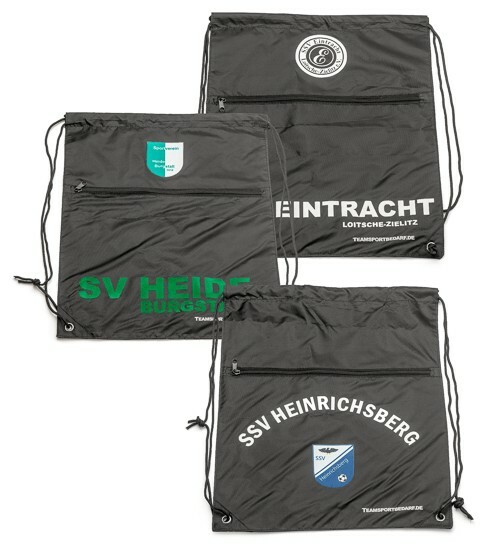 It can be also printed in color to your liking, for example, with club logo, club name, etc. 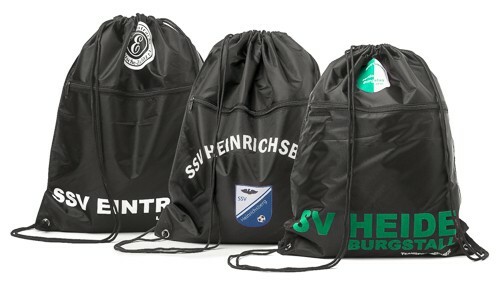 The price refers to one single gym bag (without content) with or without desired imprint, depending on the selection above. 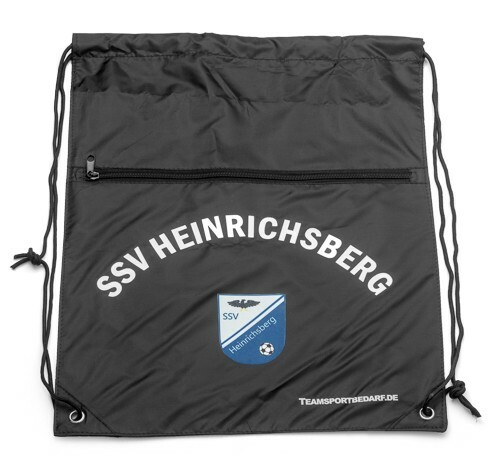 You can contact our graphics department, to let them know your request for the print: E-mail: personalise@teamsports.com. Also coaches from the professional sector work with our products. 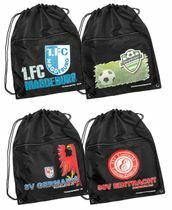 Gym bags without desired imprint can also be bought in our shop.